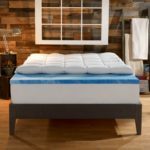 Memory foam mattress topper owners are really satisfied with their purchase generally speaking, because of the comfort it provides. But there is a very common complaint amongst them, which is the unpleasant smell produced by the topper. For some, that smell may become unbearable because of its chemical nature. Don’t worry though, the smell is not really harmful and there are even some solutions to controlling the odor of such toppers. 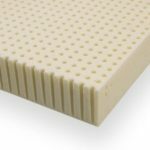 Memory foam mattress toppers are manufactured using chemicals such as polyurethane, so it isn’t surprising that it emits an unpleasant odor. Even if some other material is used, they still have to be treated with flame-retardants comply with the federal standards concerning flammability of toppers. These compounds are called volatile organic compounds. This off gassing is a well-documented property of the toppers and mattresses. Mostly, the fumes released by these toppers compare to the smell experienced in a freshly painted room. Also, it is completely natural to wonder if there are health issues related to this off gassing of toppers. On that topic, most people have reported that they didn’t face any health issues due to their usage of memory foam toppers but a minority of people reported the contrary. Nausea, headaches and allergic reactions to the material were among the reported. Keep in mind that most of these problems are temporary, and fade away with the smell. Still, it is best to consult a doctor if faced with some issue. Airing it Out – First of all, remove all the plastic packaging surrounding the topper. Place it outdoors for a few hours on a non humid and dry day if possible. A porch will suffice if you prefer not to leave it out in the open. If you are unable to take it outside at all, just prop it up in a well ventilated room against a chair so that it releases the smell from all sides. Open all windows and turn the fan on. This will help in reducing the smell by speeding up the release process. Baking Soda – You may even use baking powder, a common household agent, to remove the smell. Use the same type used for the deodorizing of a refrigerator. That will help in de-fuming the topper. After airing out, sprinkle baking soda all over the topper. Let it sit for a few hours. Be patient, this will take time. 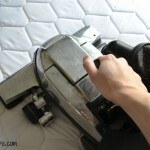 Afterwards, clean the baking soda by a vacuum or any other cleaning product. For the best results, apply the powder directly on the topper instead of using a sheet of some sort. Keeping it Clean – Try to keep the topper clean at all times. It may absorb sweat as time passes, which may worsen the smell. In order to prevent this from happening, let the topper air out for a while when it is washing time. Room Refresher – Memory foam toppers may make the room smell for a few days. Using vinegar as a deodorizing agent helps greatly in this process. Even more if you don’t care about the smell of vinegar itself. Place a bowl of vinegar in the room while you are away. This will help absorb the odors. Patience – The best thing about all this is that, even if you are facing a smell, rest assured that it won’t last long. The smell may sustain for some days, after which it will discover completely. Still, this depends upon the finishing of the product, the type of foam, the room ventilation or the sensitivity of the person. As it can be clearly seen, many factors play their part in this, so it can’t be effectively determined how long the odor may last. Above mentioned tips and tricks would be useful enough to help you carry away the awful smell of your new mattress topper. Though it fades away after some time, but in order to rectify the process you can use the above mentioned methods and it will help you feel relaxed worry free about the bad smell issues. 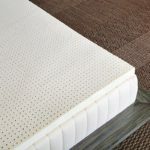 Hi Irene, I wrote an article on washing memory foam mattress topper: https://www.thebestmattresstopper.com/how-to-clean-memory-foam-topper.html, hope that it can help. Purchased a dreamfinity 3″ cooling memory foam topper. Not our first memory foam product. My husband and I couldn’t even be in the bedroom to breath let alone sleep. I was throwing up most of the night and my husband was nauseous. Great product!!!!!!! It seems that the smell of that memory foam topper is too strong. Did you try any solution from our article? If you can’t stand it, why not return it? We bought a Casper, thinking it would be great, and the smell is just awful!! We’ve aired it out for 4 weeks, and there is no improvement! Ours smells so bad. We aired it out for 4 days and thought it would be ok on our bed, well it wasn’t, I had a headache for 2 days so we had to take it off our bed. Not worth the smell if you ask me. We thought about returning it, but store says we need box it came in, well there isn’t a box, we got rid of that with the recycles. Didn’t think we would have to return. So now we are trying to air it out without any results. Is there something we can do to get rid of the SMELL. It is a very sickening smell. That’s why we should read reviews before buying a product. Did you try our methods above? Just got a new memory foam, cool gel type pillow from Sam’s Club. I aired it out for only about an hour before I put a cotton pillow protector and pillowcase on it. It smells really weird, definitely chemical but weirdly sweet? Idk if this makes sense but kind of smells like cheap chocolate? My eyes kind of feel irritated and puffy but I have allergies so even with my old pillow, my eyes could still be irritated. Will the smell still dissipate even with a pillow protector and pillowcase on it? If not for the offensive smell, it is very comfortable! I think the best way is to ask the shop, they know their products better than anyone else. 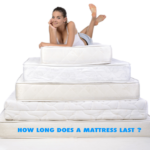 Remember that sometimes you have to wait for several days to use a new memory foam product. You can also try some ways in the article to see if it can help reduce/remove the smell. I just purchased a few days ago.and smell not left yet. I purchased memory foam from Sams, left it out on protected screened in porch for 4 days. The smell still is as powerful as it was on day one. The box on the outside did not say anything about horrible chemical smell or I would not have purchased it. Just can’t stand the awful odor. Oh, how is it now? Good luck to you! I bought a memory foam mattress in my sofa sleeper from City Furniture. It has been three weeks or so it is still smells. I took the case off it and have had it airing out against a wall in s room that is ventilated . City F refused to give me my money back . They wanted me to exchange it for another but all their foam mattresses would have the same issue. I feel like I wasted my money and will NEVER buy from that store again. We should check carefully before buying a memory foam product. I was wondering if it can be covered to stop smell like a mattress protector. 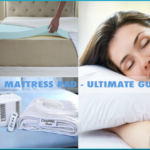 Mattress protector is great to protect your mattress, but I think it’s not a good way to stop the smell. The shop should tell us about it, nobody is expecting to have this awful smell, intact it should have a warning, comfy but waste of money if you can’t use it. 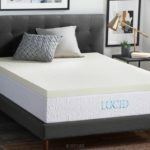 I just received a 3 inch memory foam topper that I purchased from Lands End. None of the reviewers at Lands End mentioned the terrible smell. However, the minute I opened the box the smell was overpowering. I have been airing it out for several hours now and have not noticed any reduction in the smell. Does the smell ever go away or should I just start packing this thing up to return? I think you should wait for a few days to see if the smell goes away. Or you should contact the seller for more details. Bought (natural-:)) latex topper with bamboo cover ! Its getting fresh air on my balcony for 2 weeks now! Not even ONE seller warns you that it smells badly! May be consumer affairs should do something about it? They all happy to get back the topeper but which one i should buy? Does somebody know which topper doesnt smell badly because of chemicals or resin? I bought a nice memory foam mattress topper from Kohl’s. It feels amazing, I pick up “weird smells” quickly, however no smell. I had been sleeping on the topper for three weeks. I got a horrible rash and allergic reaction around my eyes. Returning it. I have sensitive skin as it is. I think my ONLY option is to return it. We’ve had our memory foam mattress topper for 2 year now. Got over the initial chemical smell ok but we’ve been getting a strong MUSTY smell from it of late. Aired it out a bit but still very strong, especially as we first sit on the edge or get into bed and compress it to exude the air. Any reasons why this is happening now after 2 years? Hi Breeda. Did you read the article and try to do something with it? We bought an 8 in memory foam from Wal-Mart a month ago. Aired it out but started having a bad musty smell come from that room. Its a new house so we had water guys come look for water leaks etc. They could find nothing! We were frustrated! So we had them peel the carpet back to check the sub floor…nothing…but, we noticed with the furniture out of the room it didn’t smell anymore! After investigating….it was the mattress!!! Waste of money!! Gonna have to throw it out, even though its new!! I’m so mad!